Dumbbell Storage Racks. Decorative Hanging Basket Brackets. Weight Plate Rack. Security Window Grilles. "Get Knotted" Handrails, Staircase Spindles and Coat Racks. Supplied with sleeve anchor bolts. There are 3 tiers with each holding 120lb dumbbell. Included: 2 x Dumbbell Rack Plates. Single tier storage weight: 120lb. Material: plastic. 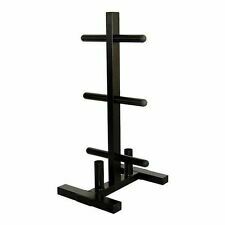 Made of high-density polyethylene, it has a high strength weight ratio, far exceeding other similar racks on the market. 1 x Multilayer Dumbbell Rack. Without Dumbbell. Material : High density plastic. BUFFALO SINGLE T-BAR Row Portable SHIHAN Power Gym Core Blaster Landmine Grappler T Bar Row. After you have finished just pop the strap in your Gym Bag. Power Sports Heavy Duty T Bar Row Handle Portable. A clean gym makes for happy gym go-ers. 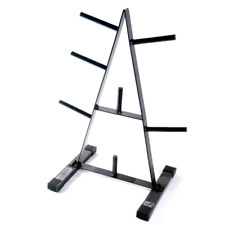 Get those kettlebells off the floor and in a safe place with this 2-Tier Kettlebell Rack. Easily grab kettlebells on two shelf options. Quantity: 1 - 2-Tier Kettlebell Storage. The barbell pipes are spaced out enough so you can grab any bar you want, but not too far as to take up too much room. This storage rack makes weight organization easy, allowing you to focus on the heavy lifting and no need to clean up after every workout. The compact and low-profile design allows you conveniently place it in any part of your fitness area without taking up too much space. After you have finished just pop the strap in your Gym Bag. 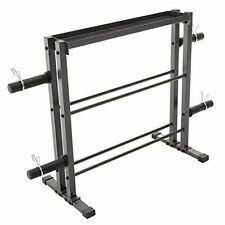 Power Sports Heavy Duty T Bar Row Handle Portable.